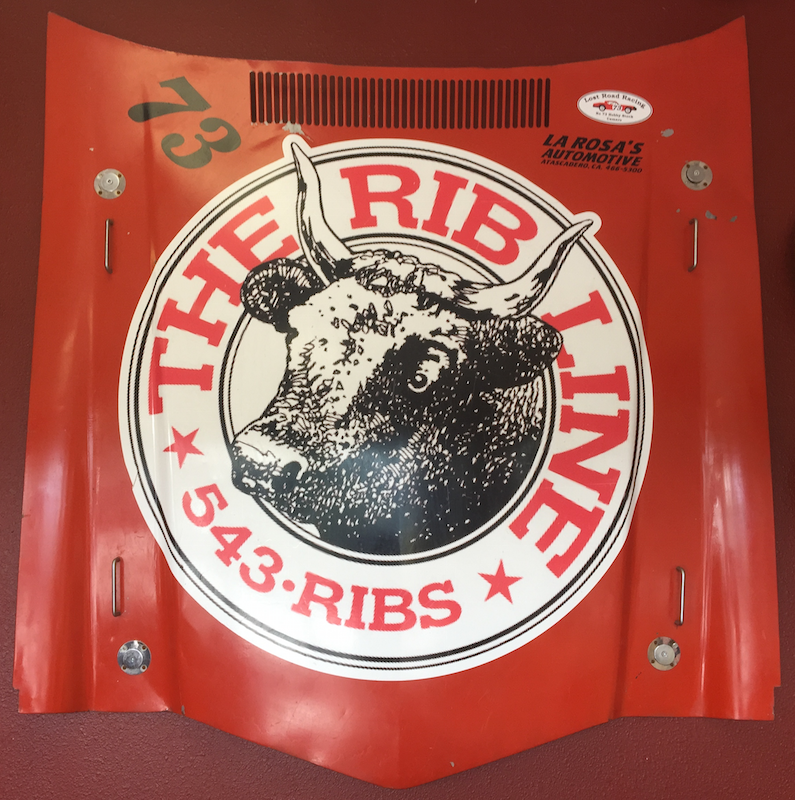 The Rib Line in San Luis Obispo CA as seen on Man vs Food Nation with Adam Richman serves a great BBQ tri-tip sandwich, in several combinations including BBQ, bacon, French dip, and Philly. 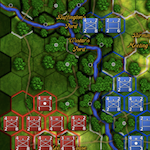 Read my full review with pictures after the break. 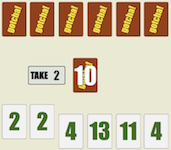 One wall describes the sandwich challenge as seen on Man v. Food Nation with Adam Richman. 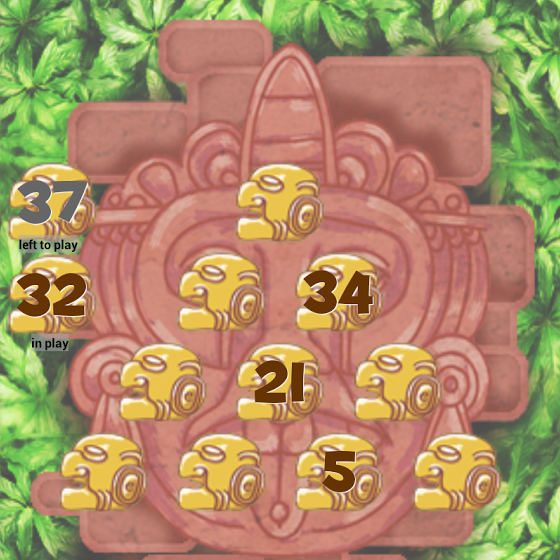 You can see the video here on YouTube. 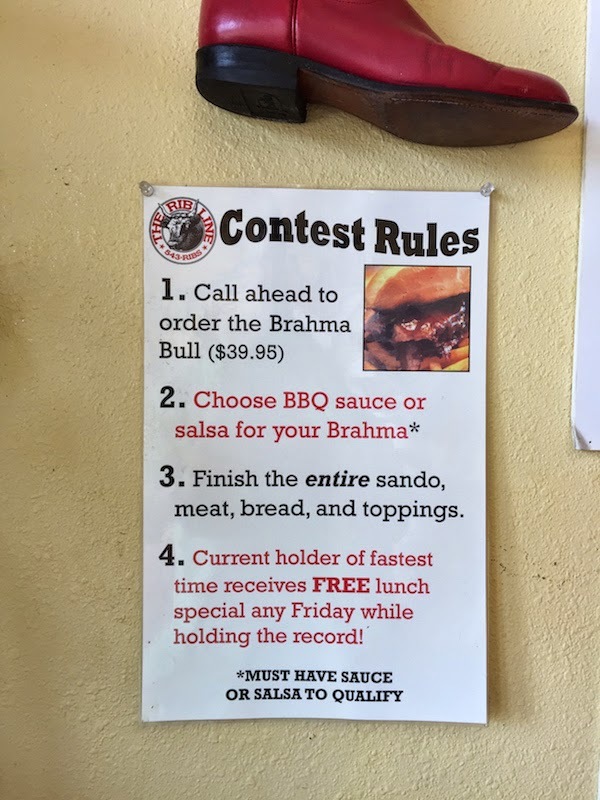 In a nutshell, if you can beat the current best time for finishing a 3 pound sandwich, you will get a free lunch every Friday as long as you hold the record. 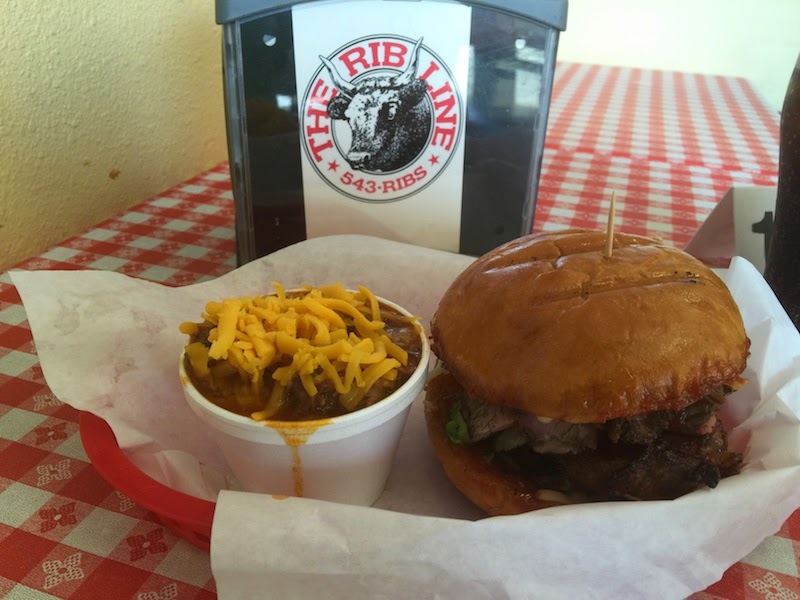 The Rib Line serves several different BBQ tri-tip sandwiches. I had the King's Dream: BBQ sauce, pepper jack cheese, lots of bacon, and avocado served on a brioche bun. This sandwich is fantastic. The barbecue meat is the key ingredient, and it's tender, juicy, and sliced thick. The slices are piled high and I was stuffed after eating this. I also had a side of chili. It's very meaty, without any beans, and spicy (but not as spicy as the chili at Chili John's in Burbank -- see my full review of Chili John's in Burbank here). Check out the smoke rings on the barbecue tri-tip. 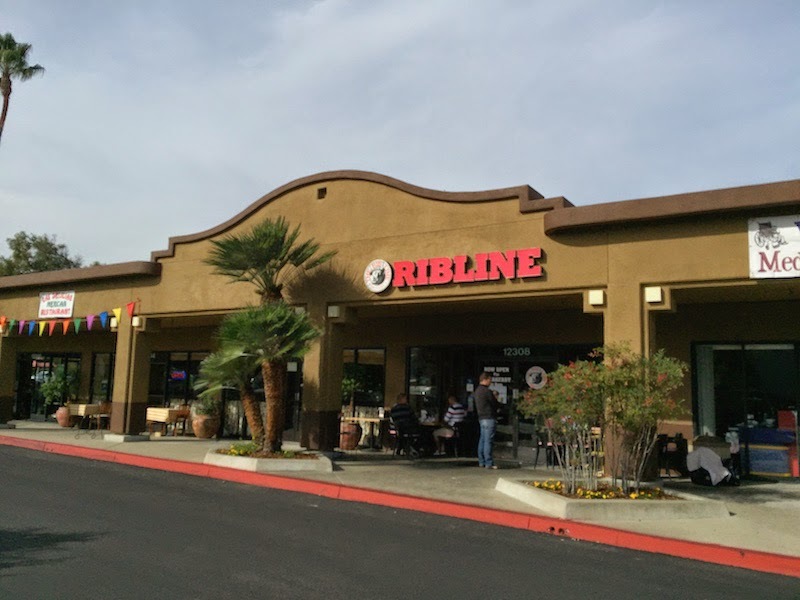 And check out this link about tri-tip on Wikipedia; did you know the tri-tip cut started in Oakland (across the water from my home town of Alameda) and the tri-tip roast gained popularity in Santa Maria (near San Luis Obispo where The Rib Line is). No wonder it was so good! 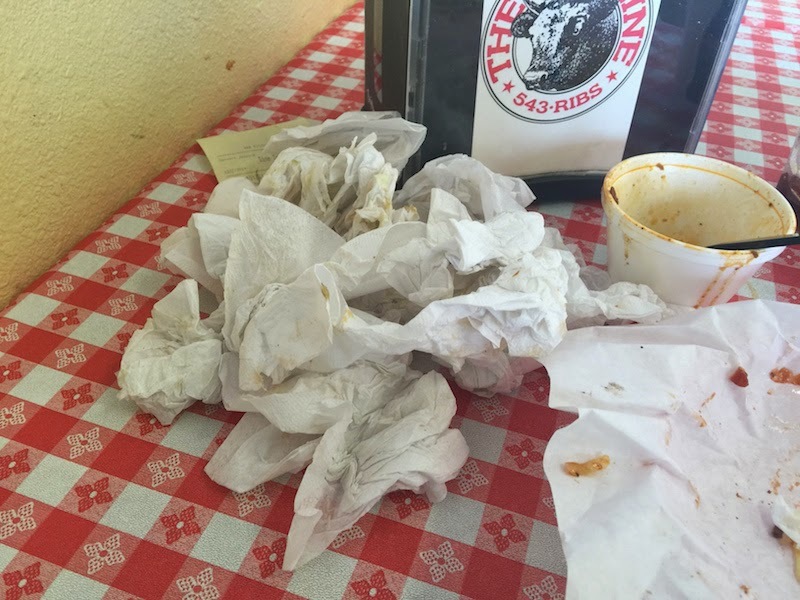 They say you can judge how good a sandwich is by how many napkins you need while eating it. I'd say the King's Dream is a pretty good sandwich! The staff is super friendly. And they sell six different t-shirts, and they are reasonably priced, so I picked one up. 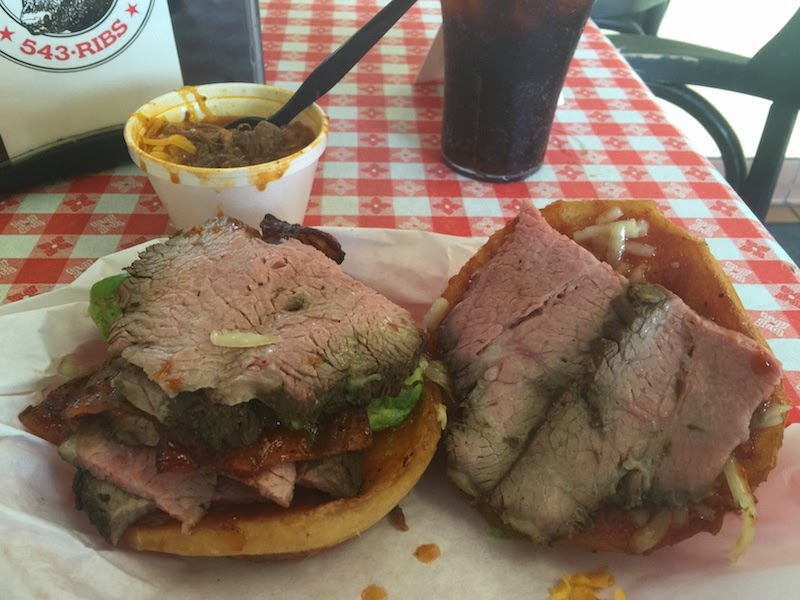 What's the best tri-tip BBQ sandwich you've ever had? Let me know in the comments below. 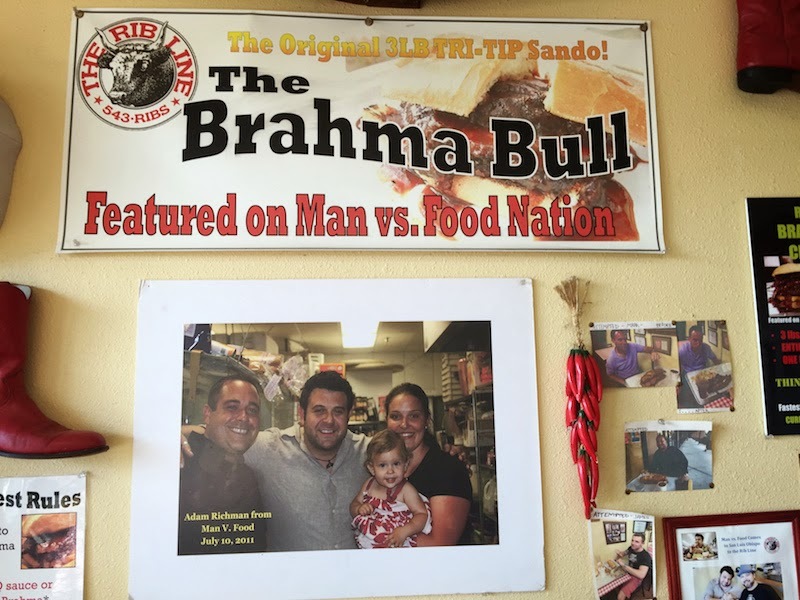 Check out the web site for The Rib Line in San Luis Obispo as seen on Man vs Food Nation with Adam Richman.